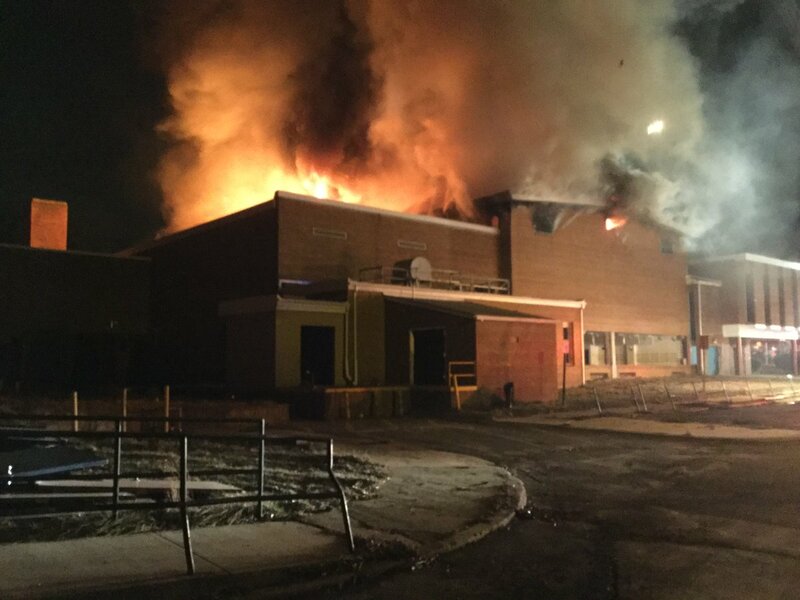 UPDATED Montgomery County firefighters are investigating what sparked a blaze that occurred overnight at the old Farquhar Middle School gym in Olney. It happened around 1:15 a.m. at 17017 Batchellors Forest Road. Fire and Rescue Spokesperson Pete Piringer said firefighters encountered heavy fire conditions at the two-alarm fire. He said about 75 firefighters battled the blaze. 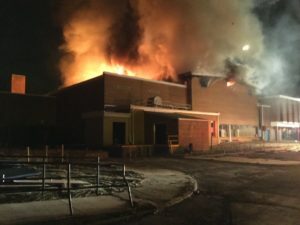 “We are dealing with some heavy fire conditions, there was a partial roof collapse in the old gymnasium,” said Piringer. There were no injuries, according to Piringer. Derek Turner, a spokesperson for Montgomery County Public Schools (MCPS), said the old school space is not used by MCPS students. Piringer said the old Farquhar Middle School is scheduled for demolition, and is fenced off from the new school campus.